An MIT-led research group has solved the mystery of how a potential battery electrode material behaves; magnetic topological insulators developed at UCLA are 1,000 times more energy-efficient for switching. While producing the first detailed visualization — down to the level of individual atoms — of exactly how a material called sodium manganese dioxide that has shown promise for use in electrodes in rechargeable batteries behaves during charging and discharging, a team of researchers led by MIT has explained an exotic molecular state that may help in understanding superconductivity. The team investigated a phenomenon known as the cooperative Jahn-Teller effect, which is a basic piece of physics that has been well-known historically and describes how the positions of atoms in certain compounds can be slightly distorted, changing the material’s electrical and magnetic properties. The researchers noted that it is associated with a lot of interesting phenomena, so a better understanding of it could be useful both in advancing our knowledge of physics and in potential applications, from improved batteries to new kinds of electronics. And although the Jahn-Teller phenomenon is well-known, it is a bit unusual to see it in battery compounds such as the sodium manganese dioxide now under investigation as a possible lower-cost substitute for the lithium-based electrodes in lithium-ion batteries, they also said. Such rechargeable batteries work when an electrical current pulls ions out of an electrode during charging, then returns them to the electrode as the battery is used. The arrangement of atoms within the material is very ordered, and normally the ordering is driven by fairly standard physics. But in this material, the order is completely driven by the Jahn-Teller effect. Understanding how that difference affects charging and discharging could be important in guiding teams around the world who are seeking to improve the performance of such batteries, and was a daunting challenge for the MIT team. This is viewed as fundamental work to determine any intrinsic capacity limits to sodium manganese dioxide — such as how much charge it can hold, or how many times it can go through the charge-discharge cycle without degradation – in order to find out how to make a higher-capacity sodium-ion battery electrode. 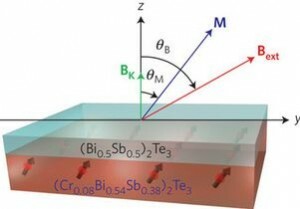 In addition to possible battery applications, the work led to the finding that sodium manganese dioxide may be important to the emerging field of spin electronics, where the spin states of electrons, rather than their electrical charges, carry and store information. Even before this new research, batteries made of this sodium-ion composition showed comparable capacity to the commercial lithium-ion batteries that are one of the leading technologies in production today. While no companies are now producing sodium-ion batteries, the technology has great potential: Sodium is more abundant, less expensive, and safer to work with than lithium, the MIT researchers concluded. 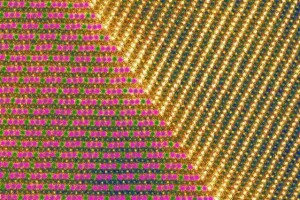 In an advance that could lead to the development of much more energy-efficient big-data processing systems and ultra-low power electronics, a research team at the UCLA Henry Samueli School of Engineering and Applied Science has developed a new class of topological insulators — an emerging class of materials that act as both insulators and conductors — in which one of two layers is magnetized. The team demonstrated for the first time that the new topological insulators can be electrically “switched” to make them significantly more energy-efficient than current devices. The researchers explained that the interiors of topological insulators prevent the flow of electrical currents, but their surfaces allow a current to move with very little resistance. Perhaps most importantly, their surfaces enable the transport of spin-polarized electrons while preventing the “scattering” of electrons that causes energy to be dissipated and wasted. The topological insulator created at UCLA comprises two layers, one of which contains chromium, a magnetic element. An electrical current that drives spin-polarized electrons can switch the up-down polarity of the magnetic chromium atoms. This switching is what enables the device to write memory or perform calculations. Most significantly, the new two-layer structure uses 1,000 times less energy to switch polarity than comparable memory structures.